Juggling All Your Training Equipment?. Leash, Transmitter, Treats, Toys, Retriever Dummies -- How do you manage all the equipment? There is a bit of a learning curve when you are training your first dog or two. There is so much to understand about shaping behavior and having good timing. You learn to reward what you want and interrupt or manage what you don't want. You have to learn to read your dog's body language and how to respond to it to get the right results. On top of all that, there is all the dog training equipment. Not only do you have to learn how to use the tools you've selected, there are times you have to juggle multiple pieces at the same time and still be able to pay attention to the dog. I'd like to share a few tips that have worked for me over the years. 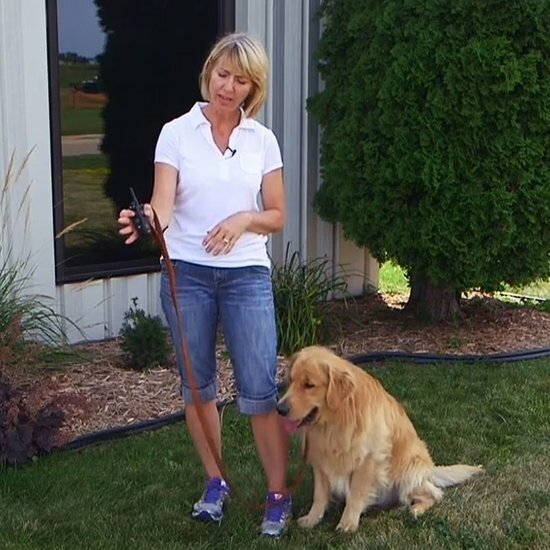 If I'm working my dog with an e-collar and we are still early enough in the training that a leash or long line is needed, I try to keep both the leash and the transmitter in my right hand (assuming I'm training the dog to work off my left side) so that I can keep the left hand free. Check out this quick clip to see what I mean. If I am using a clicker and the dog still needs a leash on, I hold the leash and clicker the same way as the leash and remote. I always want one hand free to assist the dog if needed. Once the dog can be trusted off the leash or long line, it becomes far less relevant. But that free hand is needed in the beginning, so figuring how to hold equipment without it being cumbersome and obvious is a big deal. As for all the other necessities, a training vest works fantastic! When the summer gets too humid and warm, I switch to a treat pouch with a magnetic closure. I can sling it on the back hip and it's right there for easy access when I want to "cookie the dog." I keep it toward the back of the hip so that it is not in the dog's view all the time. When I'm toting several bumpers, I still have my well-worn training bag that gets slung over a shoulder also. The whistle of course is around my neck, but my remote is in my hand. Early in the training I don't want the transmitter hanging from the neck. I've gone as far as cutting the lanyard off some of my student's remotes so they can't get complacent. We need to be prepared for any training opportunity that pops up, and that means the transmitter is in hand in order to have great timing. Don't forget to take along poop bags if you're training in a public area, make sure the keys are secure (or teach your dog to find them! ), and put the cell phone on silent so you stay focused on the dog and what you are teaching. Pull-Quote= Manage your dog training gear while keeping one hand free.